Street food in Van - Japa dogs! 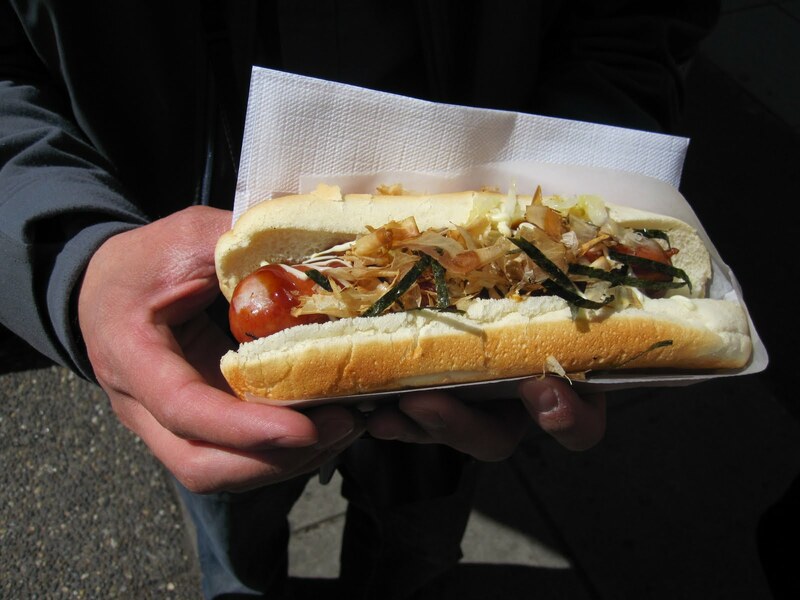 If you're ever in Vancouver, the one thing that every good food connoisseur should advise you to try is the acclaimed Japa Dog. Now, this is not just any hot dog, but a beef, bratwurst, pork, turkey or vegetable hotdog filled with a variety of toppings - such as bonito flakes (very good! 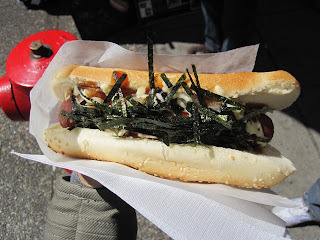 ), delicate pieces of seasoned, dried seaweed (also very appetizing), fried cabbage, Japanese mayo, teriyaki sauce etc... To make it easier for Japa Dog visitors, there is a series of menu options in visual form to make your decision a smooth one. Here's a sample of what you can expect if you're ordering a Japa Dog. Part of the Terimayo Series - my choice: the Beef Terimayo, an all beef hot dog topped with tasty Japanese mayo, teriyaki sauce, fried onions and shredded seaweed for $4.75. Dan's pick, the Okonomi with Kurobuta (pork) sausage, topped in layers with Japanese mayo, fried cabbage, okonomi sauce, shredded seaweed and dried bonito flakes for $6.75. The price of Dan's Okonomi seems a bit on the pricier end, which I'm thinking is attributed to the Kurobuta sausage. Nevertheless, the combination of the all the toppings is truly delicious! 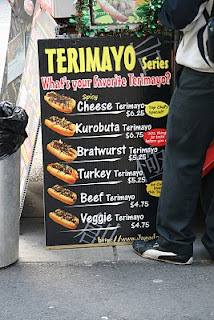 I've also wondered, due to the price of the Kurobuta, if you could substitute for a cheaper hotdog such as the bratwurst or beef and still get the same toppings(?). 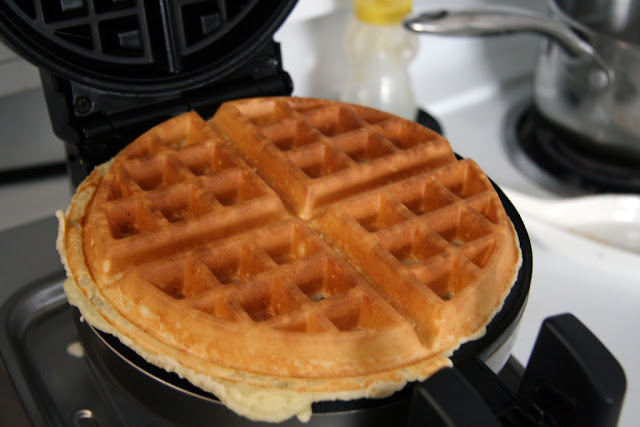 Since, the toppings themselves add to a large portion of the taste factor. Ordering notes: When you arrive at the cart, you will see two lines. This sound self-explanatory, but one line is for ordering and one line is for picking up your order. The line directly in front of the cart is where you order your food. After you've ordered, they will give you a plastic card with your order number and you will be asked to wait in the line beside the cart. YUM! What a novel idea. How long does it take for them to get your order to you.... were there a lot of choices of street food there now, or is this basically it? Just curious. This is sooo cool! We visit my in-laws at least 2 or 3 times a year in Vancouver so I will definitely look for this next time we're there. 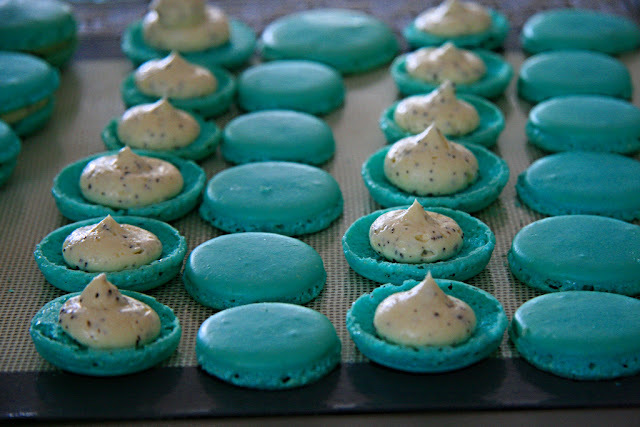 Looks super yummy. Can't believe I've never seen these carts before. Maybe I have and just overlooked them as I am not a hotdog fan but this looks uber yummy. Thank you for sharing! japa dogs are the best! Year of the Tiger- roar!